Fluoride is a naturally occurring mineral found in water in varying amounts, depending on where in the UK you live. It can help to prevent tooth decay, which is why it’s added to many brands of toothpaste and, in some areas, to the water supply through a process called fluoridation. Tooth decay, also known as dental decay or dental caries, is a major health concern worldwide and is still a big problem in the UK. Despite being preventable, it is the most common reason for hospital admission in children. Tooth decay is the destruction of tooth tissue caused by acids made by bacteria in dental plaque. Dental plaque is a sticky film that constantly forms on the teeth. Each time you have sugary food and drink, the bacteria in plaque produce acid that attacks teeth. If you eat or drink sugary foods frequently throughout the day, you have more “acid attacks” which can lead to tooth decay. This can eventually lead to cavities (holes) in the teeth and infection, which is why teeth sometimes need to be removed. Brushing your teeth thoroughly with fluoride toothpaste is one of the most effective ways of preventing tooth decay. A range of toothpastes are available that contain different levels of fluoride. The amount of fluoride that’s in the toothpaste can be found on the side of the tube and is measured in parts per million (ppm). Toothpastes containing 1450-1500ppm fluoride are the most effective. We may advise you to use higher-strength toothpaste if you or your child is at particular risk of tooth decay. • Children between three and six years old should brush at least twice daily with a pea-sized amount of toothpaste containing more than 1450ppm fluoride. • Adults should brush at least twice daily with a toothpaste containing 1450-1500ppm fluoride. Don’t use mouthwash at the same time as brushing. 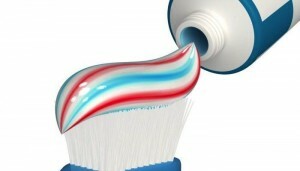 Use it at an alternative time, because it washes away the fluoride in the toothpaste. Fluoride mouth rinses can be prescribed for adults and children aged eight and above who have tooth decay. They should be used every day, in addition to brushing twice daily with toothpaste containing at least 1450ppm fluoride. Fluoride varnish can be applied to both baby teeth and adult teeth by a dentist. The process involves painting a varnish containing high levels of fluoride onto the surface of the tooth every six months to prevent decay. It works by strengthening tooth enamel, making it more resistant to decay. Most water supplies contain some fluoride and in the early 20th century, levels of tooth decay were found to be associated with fluoride levels in drinking water. This led to the introduction of water fluoridation schemes to add fluoride to water supplies to improve dental health. Community water fluoridation schemes have operated for over 70 years; the first fluoridation scheme was introduced in the US in 1945. The first substantive UK scheme was established in Birmingham in 1964. In 2004, following a public consultation, Scotland’s parliament rejected proposals to fluoridate public drinking water. In some parts of the country, such as parts of the North East and Midlands, the public water supply naturally contains a level of fluoride that’s similar to that seen in schemes. Some private water supplies contain more than this amount. Overall, these reviews found that water fluoridation appears to contribute to reduced tooth decay levels and doesn’t seem to be associated with any significant health risks. However, a condition called dental fluorosis can sometimes occur if a child’s teeth are exposed to too much fluoride when they’re developing. Mild dental fluorosis can be seen as very fine pearly white lines or flecking on the surface of the teeth. Severe fluorosis can cause the tooth’s enamel to become pitted or discoloured. It’s uncommon in the UK for fluorosis to be severe enough to seriously affect the appearance of teeth. This is because fluoride levels in water are carefully monitored by the Drinking Water Inspectorate (DWI) and adjusted if necessary.